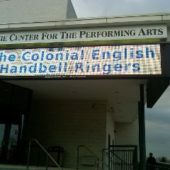 Welcome to the Colonial English Handbell Ringers’ web page. 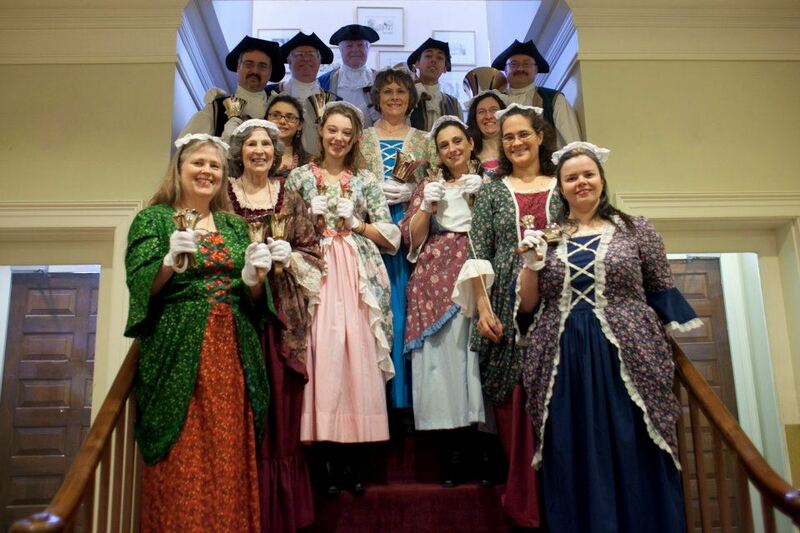 Our group has been delighting Washington audiences since 1991. 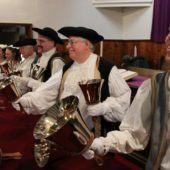 We ring a set of nearly 80 bells from the White Chapel foundry in England and perform at concerts, festivals, weddings, fairs, and private functions – anywhere our unique and entertaining form of music is desired. Programs are traditionally 40-60 minutes in length, but can be tailored to particular requests. 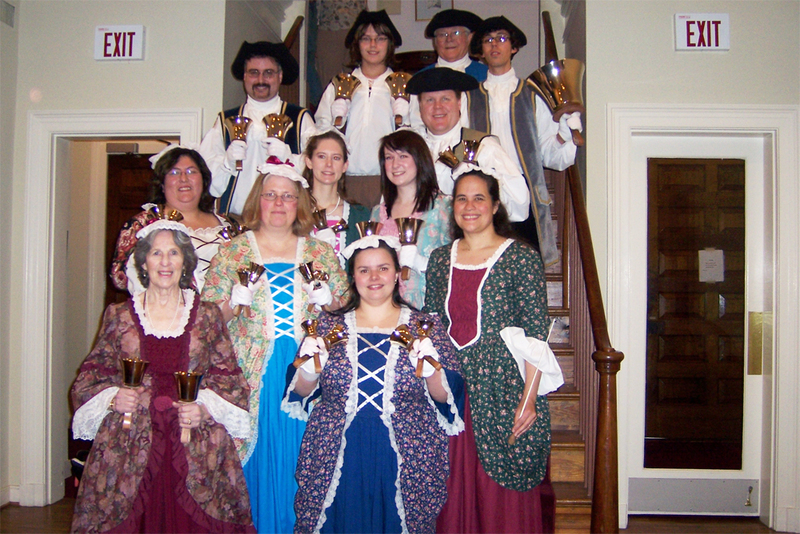 Beautifully costumed in Colonial, Renaissance, or traditional dress, we are a unique visual and auditory experience. 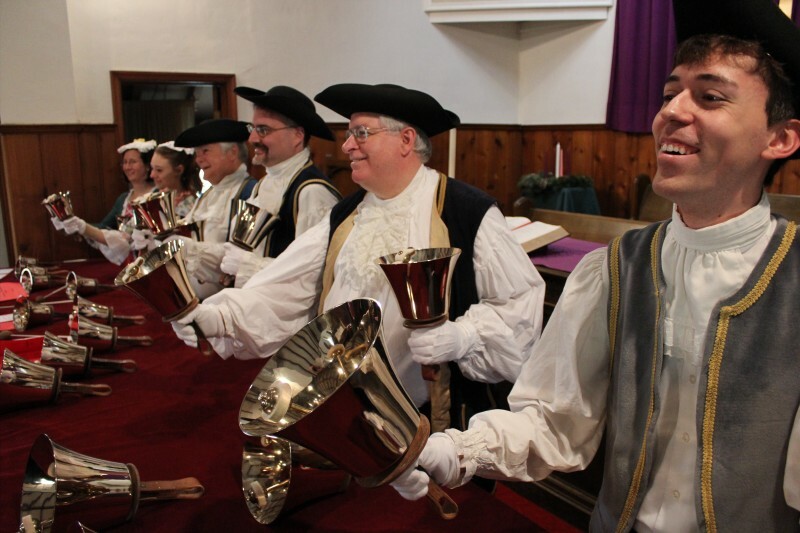 The Colonial English Handbell Ringers present their 2018 holiday concert Bells in Toyland, featuring songs to delight audiences of all ages. From the exuberant opening number “A Song of Gladness” to audience favorites “Frosty the Snowman,” “Parade of the Wooden Soldiers,” and “Sleigh Ride” (complete with sound effects), we’ll help make your holidays brighter. Watch in amazement as the ringers transform into a human music box in a magical, original piece, “Carillon Christmas” plus, you’ve never heard “The 12 Days of Christmas” like this! We look forward to seeing you at one of our shows. Sunday, December 9, 5:00 p.m.
Sunday, December 16, 2:00 & 4:00 p.m.
Two shows – seating is first come first served, so please arrive early. All shows are FREE with the exception of the Bowie show on December 16. This is a fundraiser, with tickets for $5 each; proceeds support our group with equipment and supply costs. Either purchase a ticket from a ringer, or through our link on Brown Paper Tickets: www.brownpapertickets.com (which charges a small service fee). 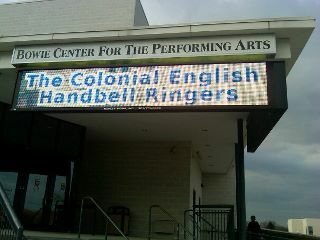 The Colonial Handbell Ringers was directed by Mary A. Parker until her retirement from conducting in 2007. Mary wrote and/or arranged many of the pieces the group performs today. She now rings the group, which is co-directed by Nena Manzo, who took the conductor’s baton in 2007, and by Elie Cossa and David Emanuel who handle scheduling, planning and public relations. 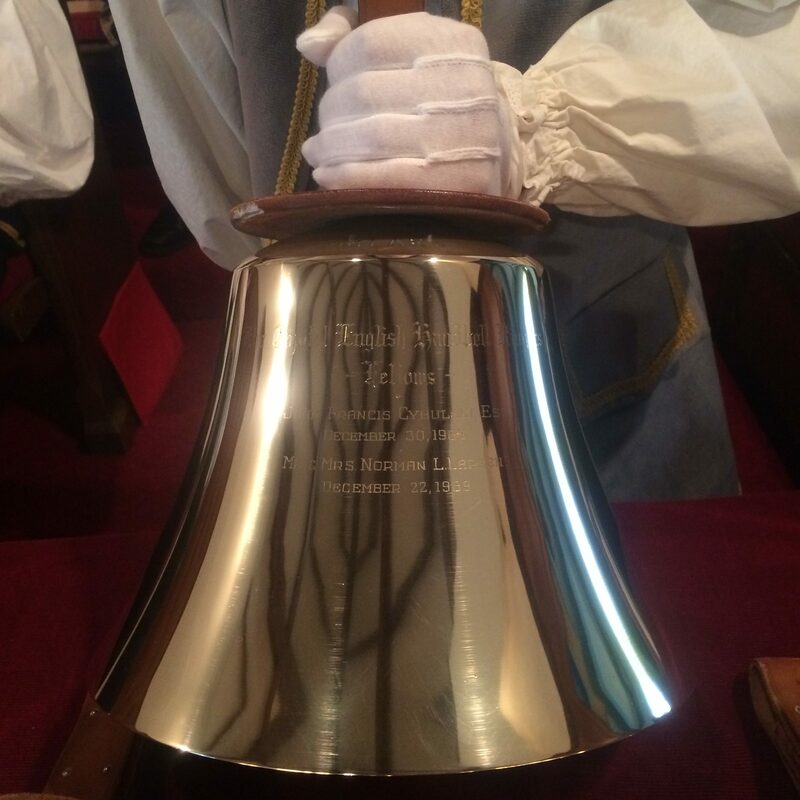 Many of the original ringers have remained in the group off and on through the years, with one family providing ringers from three generations. The group is volunteer, independent and not for profit. 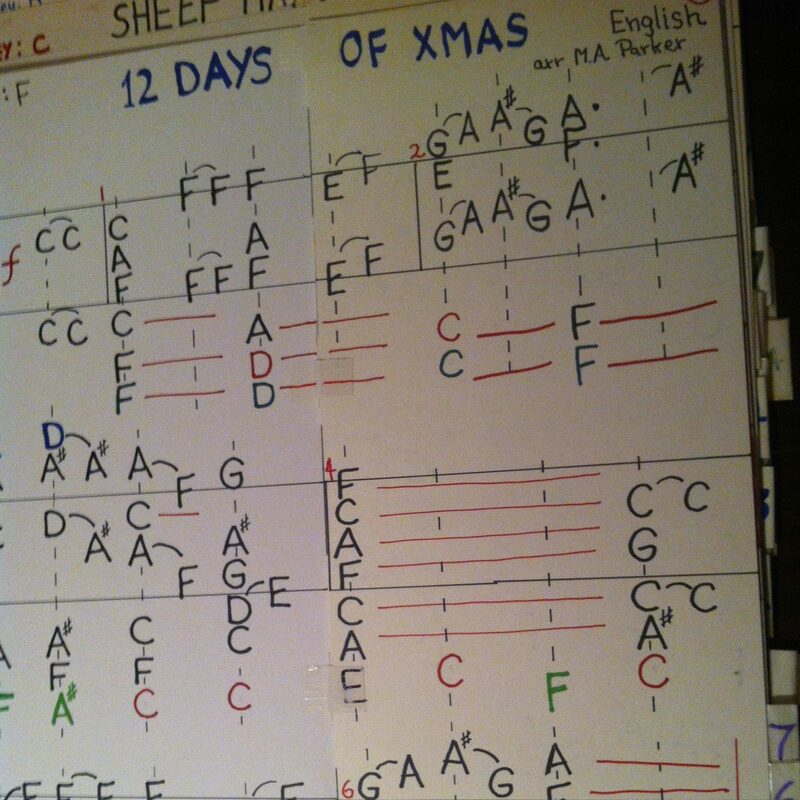 We are unique in that we are one of the only groups to play from original bell “charts” instead of standard music notation. This means our music is on large poster board sized sheets that are written to be seen from a distance. We ring a 5-octave “long” set consisting of 79 bells from the world-famous Whitechapel foundry in London, England. These hand-tuned bronze bells provide the best in traditional sound, and are also a visual treat. 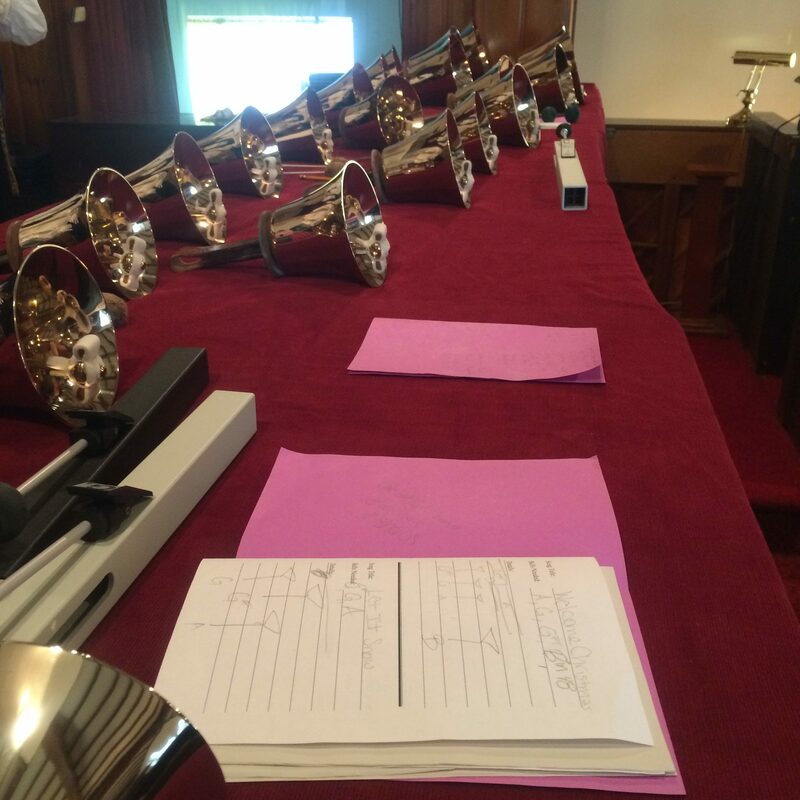 The Whitechapel foundry has a tradition of over 5 centuries of bell-making, casting “Big Ben,” our own Liberty Bell, and the first sets of English handbells. Although the bulk of our performances are during December for holiday shows, we have also played year-round at concerts, festivals, weddings, faires, and private functions – anywhere our unique and entertaining form of music is desired. Programs are traditionally 40-60 minutes in length, but can be tailored to particular requests. Beautifully costumed in Colonial, Renaissance or traditional dress, we are a unique visual and auditory experience. 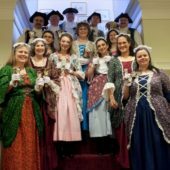 Past performance venues include: The Pageant of Peace, Gadsby’s Tavern, The Lyceum, The White House, The Annapolis State House, assisted living homes, churches and country clubs. Our small ensemble, “Touch of Clash” also plays for public and private functions. This 4-6 person group plays a variety of musical styles and is great for comic relief (and of course offers more serious performances). The 4 of us had so much fun we started adding performances and usually do a small show as an intermission for the large group during our standard programs. “A Touch of Clash” comes in handy for smaller venues. The large group requires more space both for the equipment and the people. Planning a wedding? Want light background music for a function? We are the easier logistics choice. 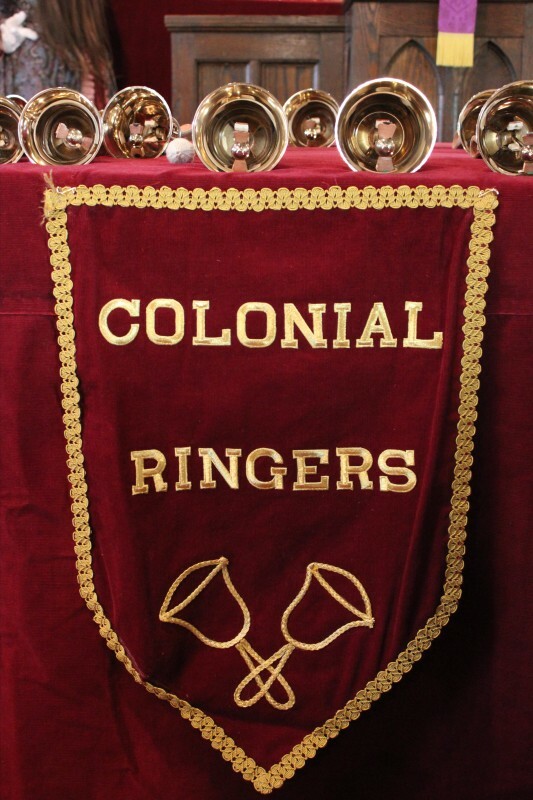 Email us at Colonialringers@aol.com or check us out on Facebook.